Before I go into detail about this project, can we all just talk about the fact that the summer is almost over!? Seriously though, where did the time go!? This summer has kept me super busy – from summer classes, to my crazy busy (and awesome) sign business, to trying to find time for fun projects – there just isn’t enough time in a day! Fortunately, I finally had some downtime the other day to create something cool to share with you all. 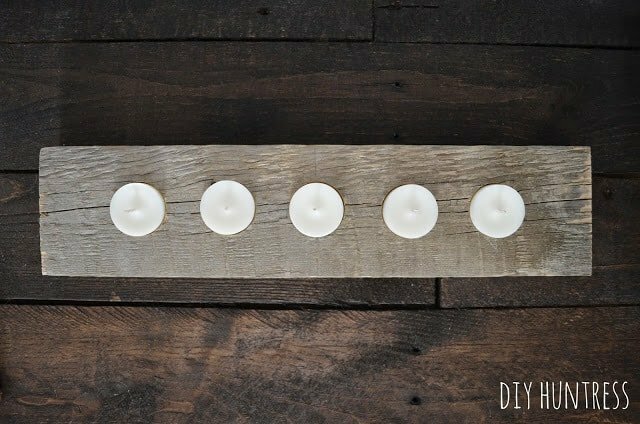 As soon as that time freed up, I grabbed my power tools, a piece of pallet wood, and created a fun and FREE votive holder for my home. Quick preface… I love candles. Okay, maybe that’s an understatement… I am actually obsessed with candles. In fact, I have an entire storage table in my living room that is just filled with candles. So, when I picked up some new Forstner bits for my drill press and cordless drill, I knew they just had to be used to make cool votive holders. 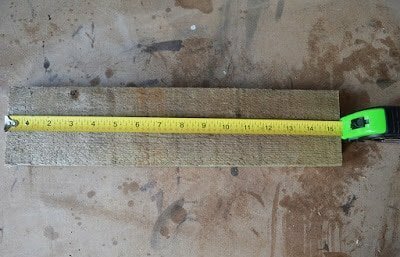 At first I thought it would be cool to go to the hardware store to find blocks of wood, but then I realized I had free, aged material right in my backyard! 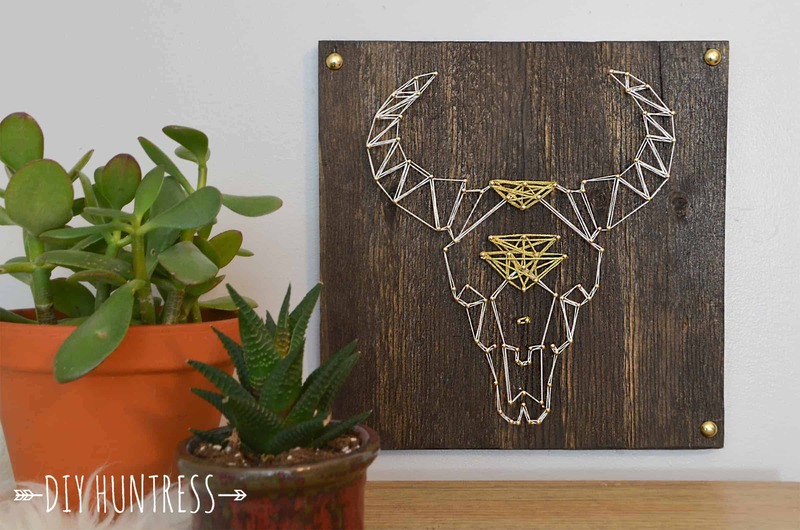 Hello free pallet art! 1. Find a piece of wood that resonates with you. I loved this one weathered piece I had sitting behind my shed and decided to cut it down to a smaller size. 2. 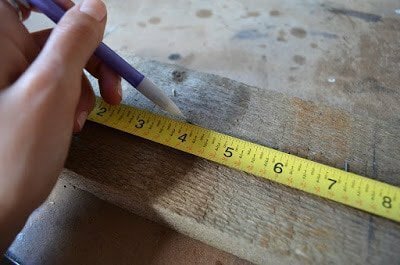 Use your measuring tape to find the absolute center of your wooden plank. 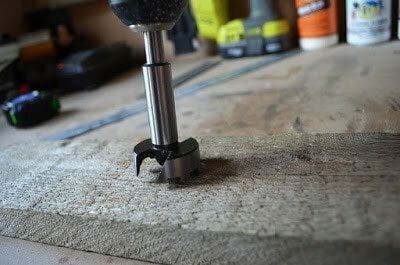 This can be done by measuring the width and the length, marking the center of both, and connecting them with a straight edge. This will be the first place that you drill (and will also be the point you will measure from). 3. 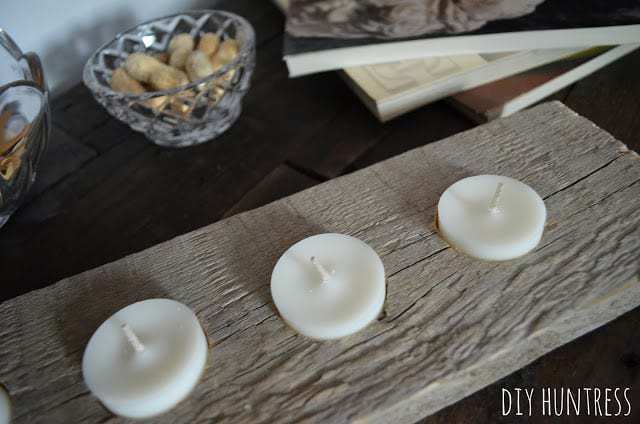 Next, measure how far apart you want your votive openings to be. 4. 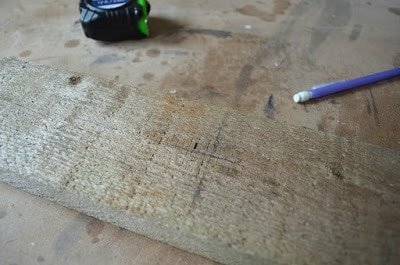 Once you are certain that all of the markings are lined up, you can start the fun part – drilling! 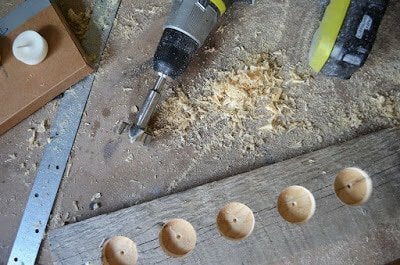 TIP: When drilling with a cordless (or corded) drill, the holes you make may not be even on the first go (don’t get discouraged!). 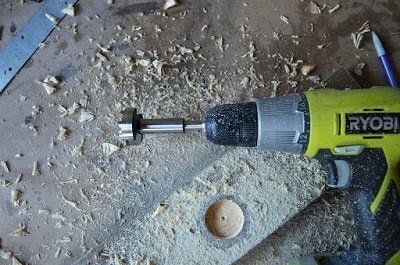 If you find this happening, play around with the angles in which you enter the drilled holes, as well as with the pressure in which you are applying to the gun. 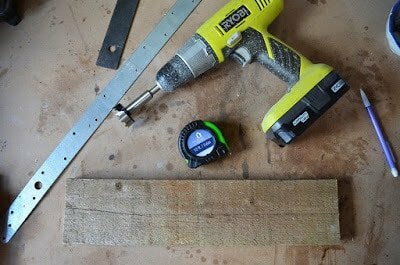 With a drill press, these holes will be cut even due to the equal pressure being applied by the press (but as I said earlier, I used a cordless drill for this tutorial because I recognize that not everyone will have access to a drill press in their home). 5. 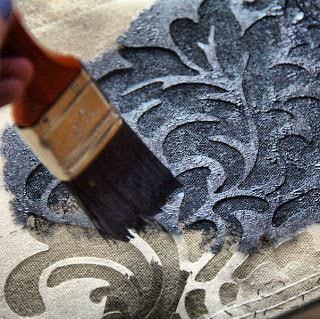 Continue drilling along the markings. 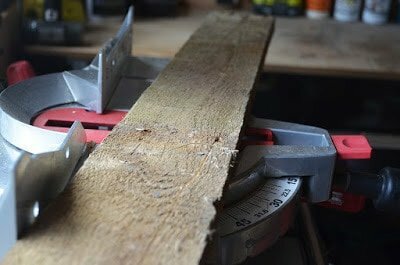 Measure the depth of each hole as you go to make sure they are all even. 6. 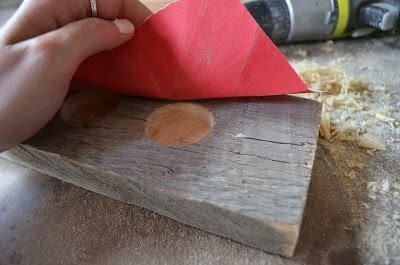 Use sandpaper to sand any rough edges that may be left on the wood. There you have it! 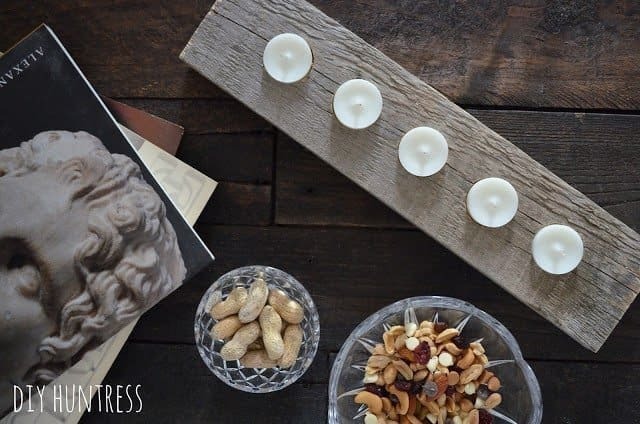 Now you can enjoy your FREE new votive holder! Put some good smelling votives in there, and go for it! PS. The votives I have come in plastic containers (which I removed for picture purposes). 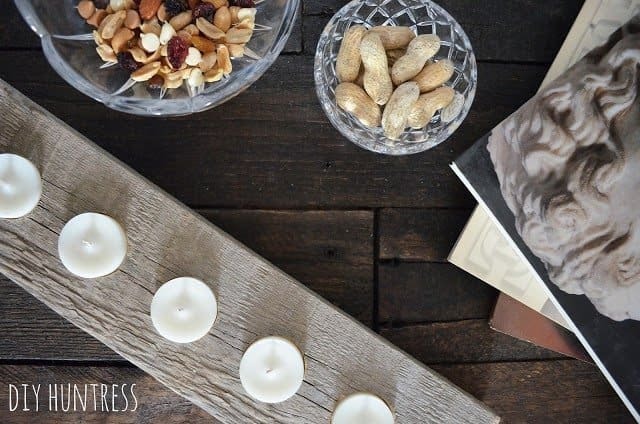 You may want to keep the plastic or metal containers in tact when using the votive holder to avoid having to scrape wax off of the wood later or set fire to the wood. This simple and affordable DIY project will make a huge statement in your home! 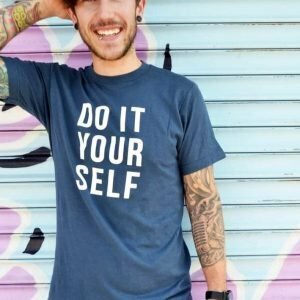 Besides, it’s so cool to tell people you made it by yourself! What do you think? Would you tackle a project like this? 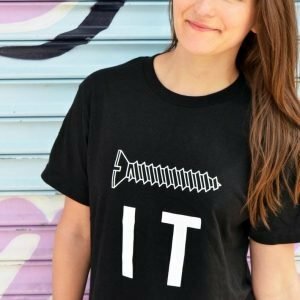 I want to see what kinds of projects you like working on! 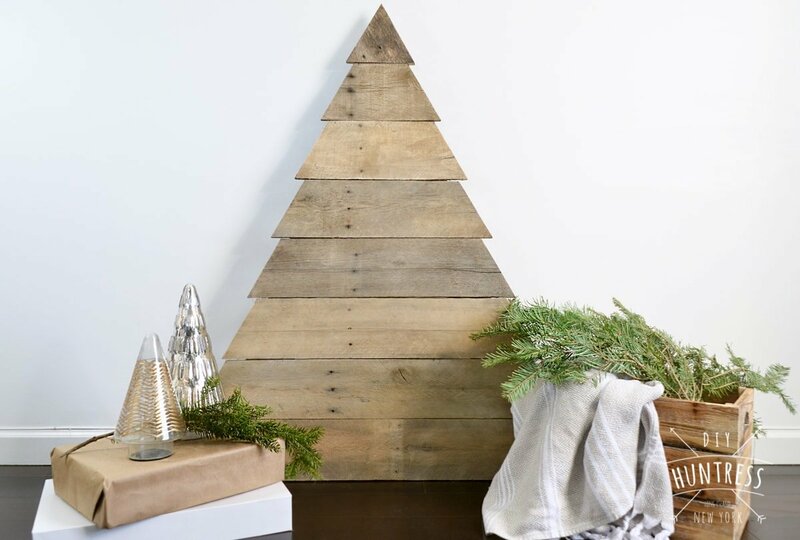 Visit me on Instagram, Facebook, and Twitter to share your hunted and tackled DIY projects! 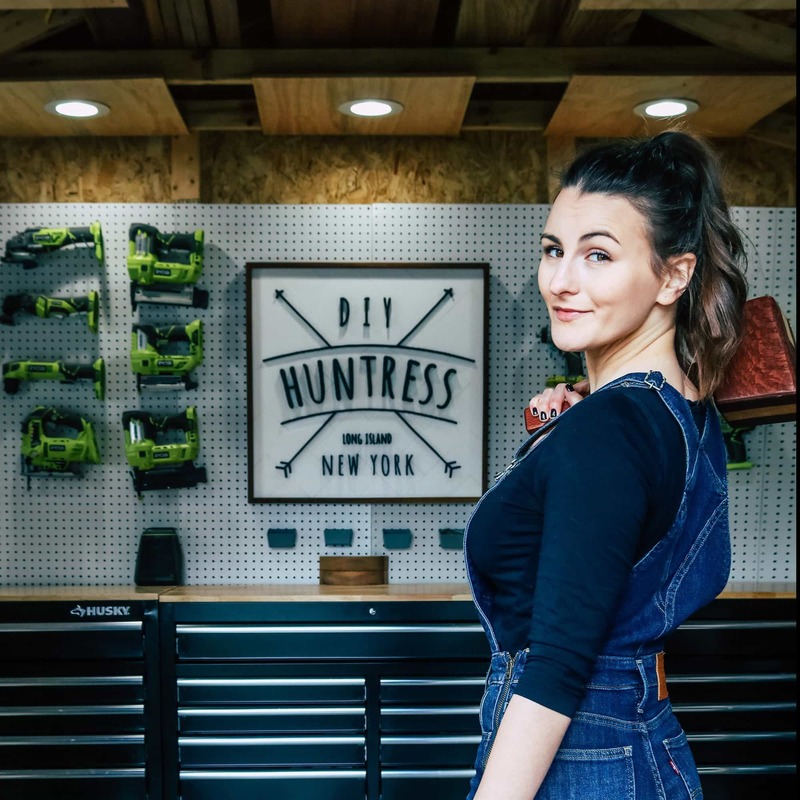 In fact, check out my NEW hashtag #diyhunted on social media and tag your before’s and after’s! I promise to feature projects each week! I can’t wait to see what you all have in store for the rest of the summer. I hope it’s been an awesome one! This turned out so so well!